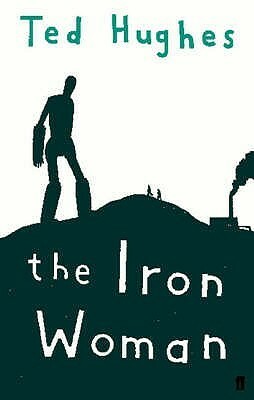 This is the sequel to his previous book The Iron Man which I read earlier. Lucy is befriended by the Iron Woman who has emerged from the marshes intending to take revenge for the pollution of the waterways. Lucy hears about this and its impact on the wildlife and goes to confront the manager of the Waste Factory about it. She finds that when she she touches people they begin to hear the screams of the animals being poisoned and killed by the pollution. Iron Woman turns all the men into various fish, newts, frogs etc. which their families have to keep alive in baths, swimming pools, ponds. The men-animals fight back by burping up black bubbles that coalesce into a giant Cloud Spider which proclaims itself to be the Spider-god of wealth "I am the Spider-god of gain. The spider-god of winning at all costs. I catch the prize in my net." As Iron Man and Iron Woman battle the The Cloud Spider, it is eventually conquered and taken away by the Space-Bat-Angel-Dragon from the first novel. ashramblings review 3* Stronger in style, with more symbolism and a stronger environmental message than Iron Man, this is again a lovely gem of a children’s book.